She's the only sticker I need, and I can't seem to find her. 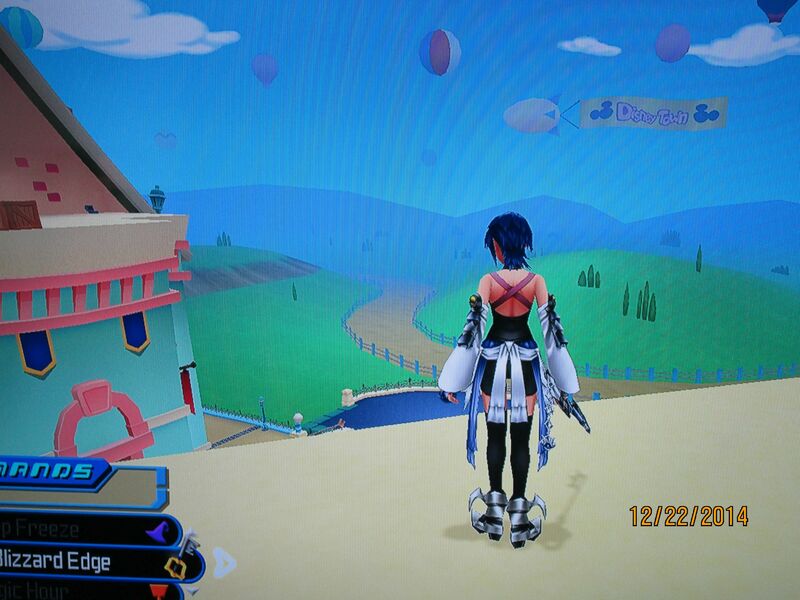 Guides online say the sticker's floating in the air in the Disney Town Raceway, and that you should be able to see it when you enter the Raceway through the Rec Room exit. But I can't find it. Can anyone help? Found in Disney Town Raceway. 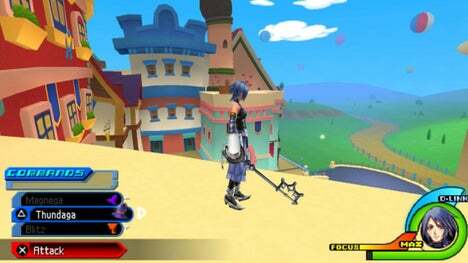 From the Raceway Rooftop (where the Slot Edge treasure chest is), head to the far ledge ahead. From there, face south and you'll see the sticker some ways below you. Doubleflight and Air Slide to the collectible then drop down when you are on top of it. Unless they all have a different location for the FM version(?). No, there's nothing. I don't see anything. I've exited and re-entered the world and visited the Raceway multiple times. I've air dashed all over the place, hoping the sticker's just blending in with the background or something, but nothing. I can't find it. Is it even possible for a sticker to glitch out of existence? It must be in the Raceway. Can you stand on the ledge on the other side of the Raceway and take a photo? In the little alcove I'm standing in? Ya it could be above you, this is weird. Unless you picked it up where we think it was at and it wasn't the Daisy sticker in the fm version. No, that's not it; I double-checked the alcove to be sure. And I know I haven't picked up a sticker in that area- I only came back to pick up both stickers after finished Neverland, and I distinctly remember only picking up the sticker hanging in front of the gazebo in the main area. Plus, the daisy sticker is greyed out with a ? mark over it in my journal. I had the same problem, the sticker was just in a different spot in the Raceway. Go over to the ledge facing the entrance to the actual race-track (with the mickey mouse head shape). It's on the lower level, and much easier to obtain. I'm assuming they changed the location due to peoplet finding it too difficult to obtain at its former spot. AAAAAAAH! YOU'RE MY HERO! I don't have to restart my game now. ;_; For anyone wondering, they did indeed move the BBSFM version of Daisy's sticker.